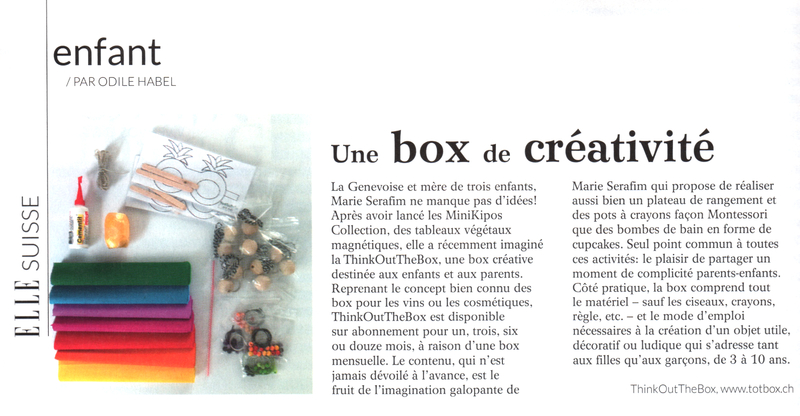 ThinkOutTheBox belongs to MiniKipos Sàrl, founded by Marie Serafim. 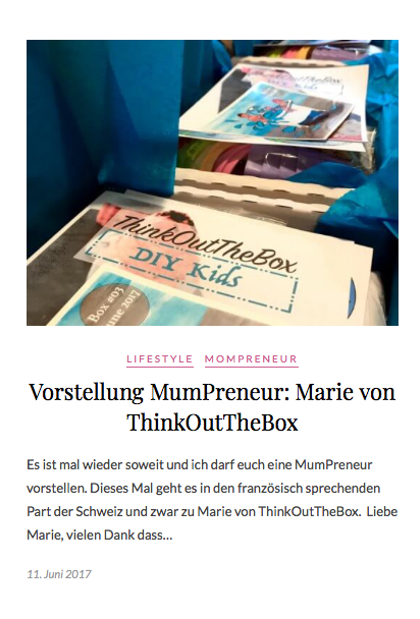 MiniKipos Sàrl is diversifying and launches its new brand: ThinkOutTheBox, the Swiss creative boxes, inspired by the DIY creations of its founder. 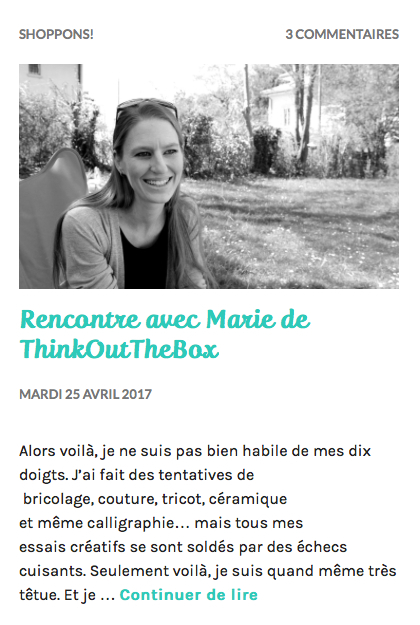 The idea is to facilitate access for creative activities for people : ideas, material and explanations, all in one box each month. 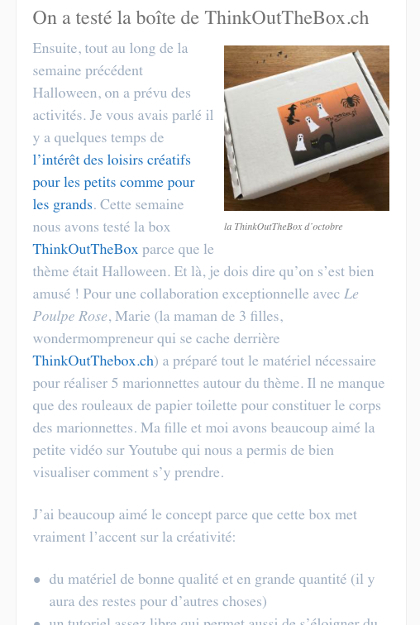 For an overview of Marie’s universe, come to visit the blog: blog.minikipos.com (in French). 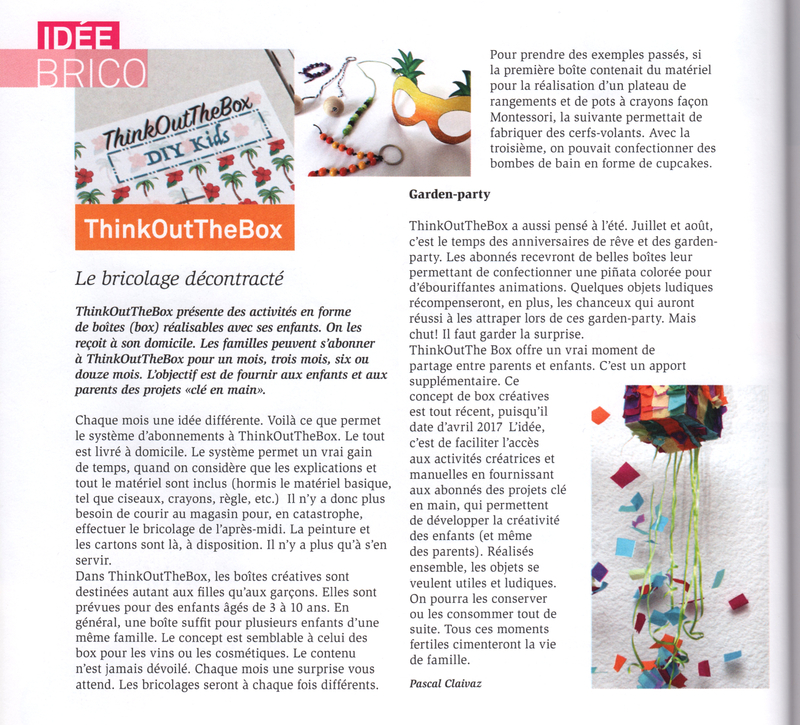 The 3D Eco show on Léman Bleu devoted a few minutes to ThinkOutTheBox. “A big thank you” to 3D Eco and Leman Blue for giving us the opportunity to present us in the capsule dedicated to startups. 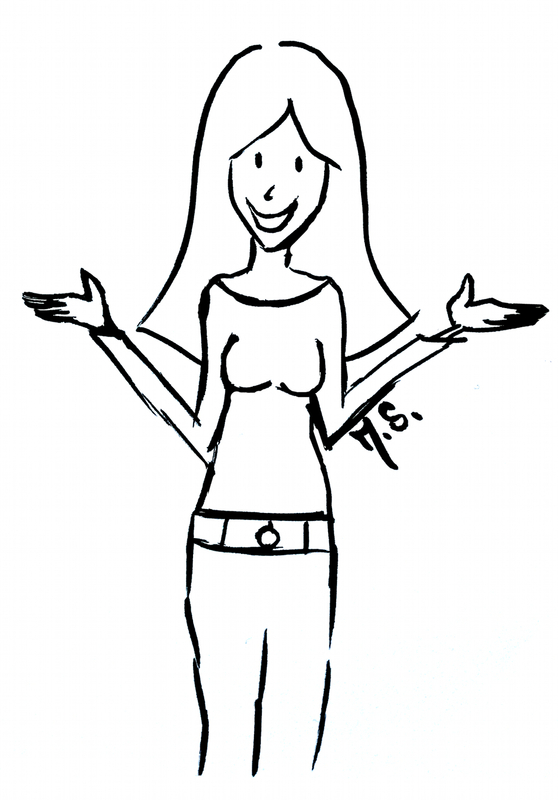 We hope you enjoy the show and the interview as much as we enjoyed participating. The interview is at the end of 3D Eco.